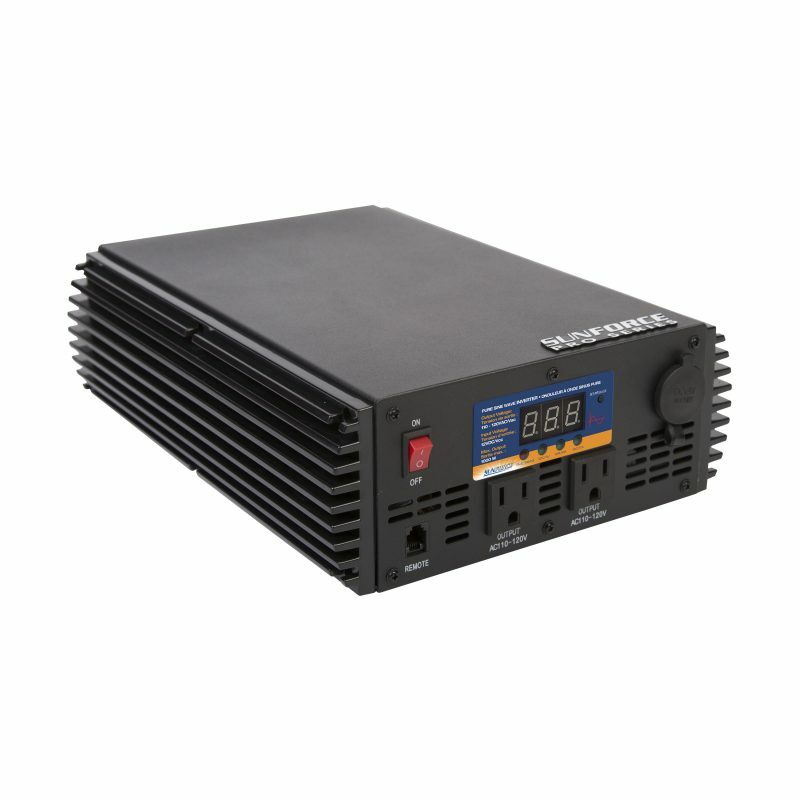 1000-Watt Pure Sine Wave Inverter - SunForce Products Inc. 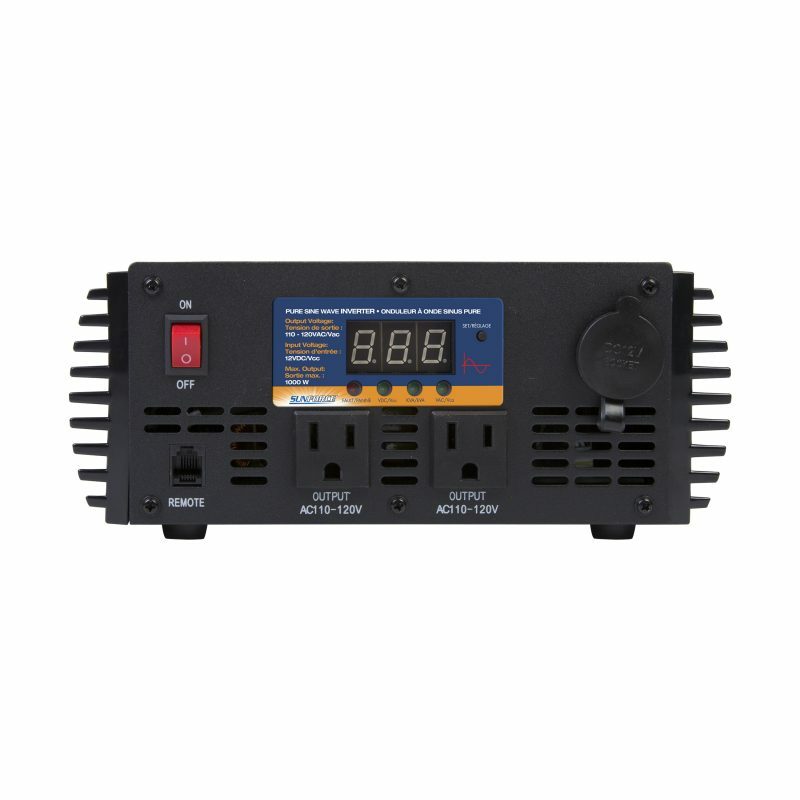 The Sunforce 1000-Watt Pure Sine Wave Inverter converts 12V DC power into clean, stable 110V - 120V AC power that is ideal for running home appliances such as televisions, computers and lights. 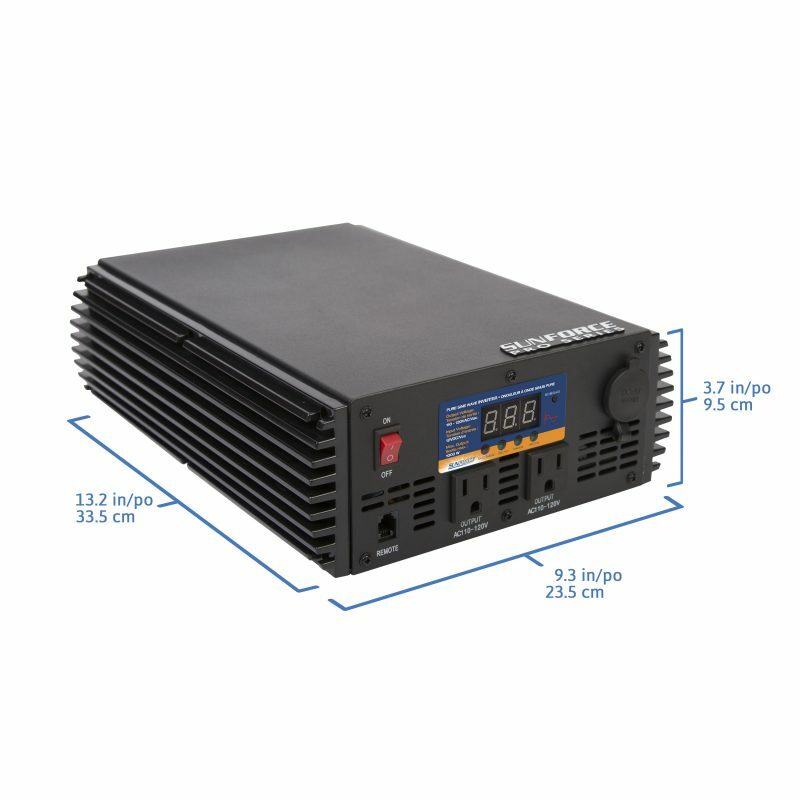 The electrical output of an inverter is often described in terms of a sine-wave, an up-and-down line that represents periodic oscillations where voltage is rising and falling. A Pure Sine-Wave has the characteristics of a smooth curve, similar to the electrical waveform of voltage in regular households. 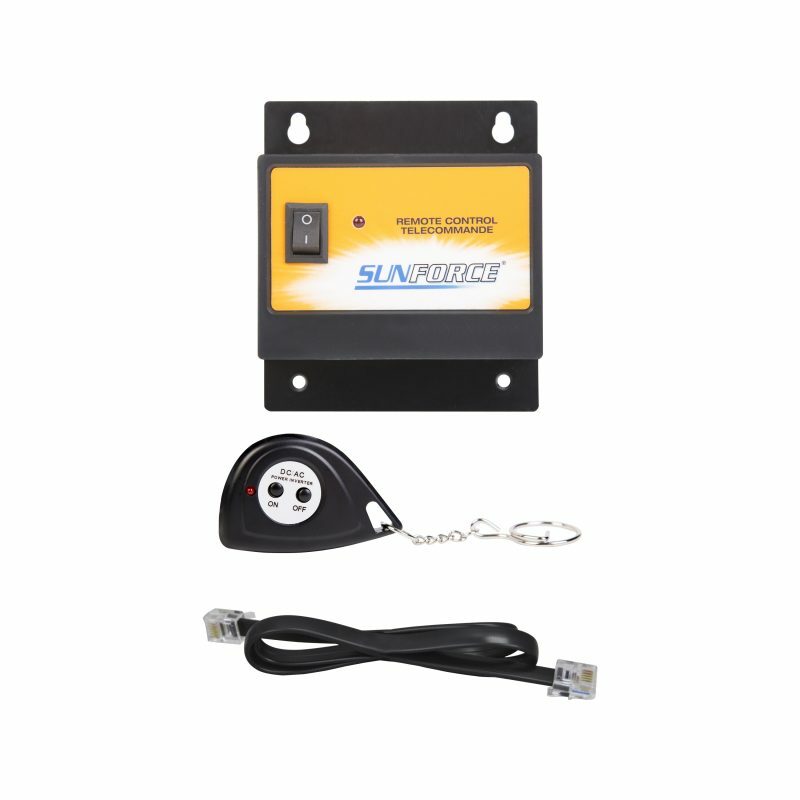 This smoothness represents a clean signal that is suitable for most electrical devices. Its low harmonic distortion allows for a clearer picture on TV or computer screens, it reduces static or noise in communication devices and allows devices such as motors to run faster, more quietly and produce less heat. A Modified Sine-Wave has sharp or square angles, unlike the current available in most households. This less perfect waveform is still capable of powering many devices, but you may notice some functional differences such as digital clocks that lose time or the picture in some screens appearing wavy or noisy. 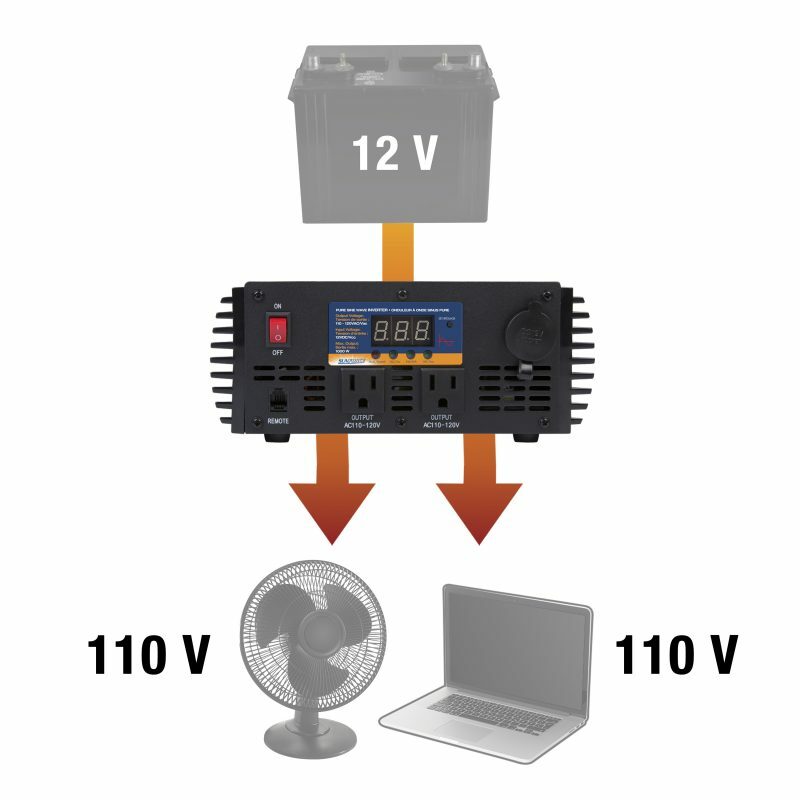 An application that serves as a good example of the differences between these inverters is the laptop computer. 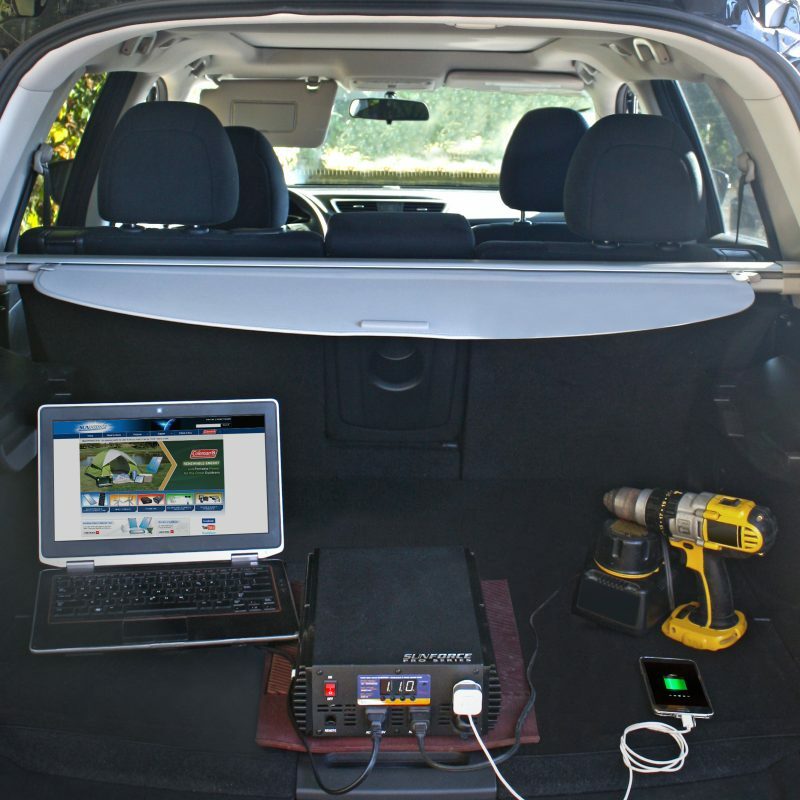 A Modified Sine-Wave inverter can perfectly recharge your laptop computer, but if you wish to operate it while charging, then a Pure Sine-Wave inverter will allow you view a clear picture while still charging your laptop.